To avoid costly delays and quickly establish your perfection and priority consider filing your lien notice online . In accordance with ARM 4.6.108, all lien forms must be typewritten in a 10 point or higher normal (not condensed) font and printed on 8 ½” by 11” paper. Tax identification numbers appearing on lien notices will be redacted from view by the general public. Business Services documents resubmitted for processing will be assessed a reprocessing fee at 50% of the initial filing fee. This fee helps offset operation costs associated with processing the document. If you are amending a Title 71 (service lien) you must use the new amendment form located below in Form #13A. This new form must be used when amending a Title 71 Lien. Uniform Commercial Codes, referred to as UCCs, are important tools for enabling and supporting tribal economic and housing development by improving access to commercial and consumer credit. 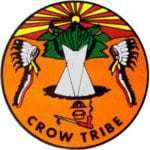 A comprehensive and culturally appropriate secured transaction code can assist Tribes, American Indian-owned businesses , and Indian consumers that are encountering barriers to affordable credit by allowing for business to be transacted more efficiently and cost-effectively with parties located outside of the tribal jurisdiction. Tribal commercial laws and transaction codes more effectively help achieve the goal of economic development if they are sufficiently similar, or harmonized, with the laws of the states and the Tribes. 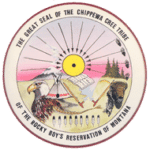 When adopted and implemented, they can support and strengthen the effective exercise of tribal sovereignty. The sovereign nations listed below have active agreements with the Secretary of State’s office. Click on the links to access the available lien forms.